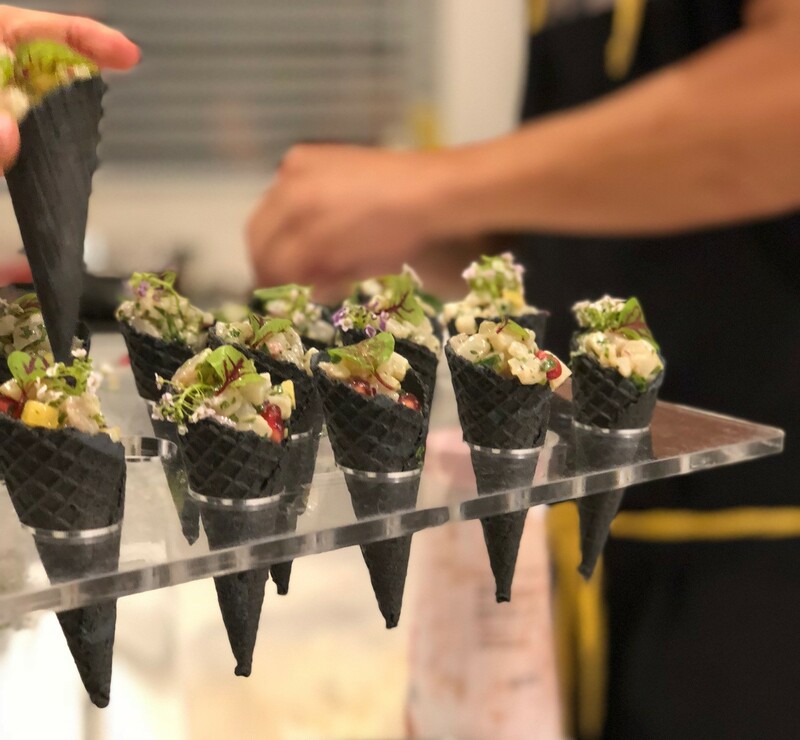 Whether you are looking to host an informal corporate canape gathering, or a decadent stand up dinner on an epic scale, we can design your menu. Our experienced staff will work with you to create a bespoke canape menu using the finest seasonal ingredients to ensure your event exceeds expectation. From pre-dinner champagne, to a stand up meal extravaganza, we have served fun exquisite bites as well as delivered a sophisticated fine dining canape experience. We have even catered breakfast canape parties! Our chefs have designed sumptuous and refined canapes to match the tone and ambiance of many events. We take great pride in our hand crafted delicacies, so we ensure that not only are they exquisite, but that they are also served in a befitting way. We have a wide range of boards, trays and special serveware that we continue to grow, to ensure your canape parties are unique and memorable.